Breaking News: Shipton's Is Expanding to Serve You Better! In 1924, John E. Shipton opened a small heating and cooling sales and service shop in Hamilton. The company shortly outgrew its first location in a three-car garage and moved to its current location at 141 Kenilworth Ave. N., Hamilton. Today, we look back over 92-plus years of service to the Hamilton and surrounding areas and feel somewhat in awe of our founder and grandfather, who paved the way for us to do the work we love today. We also look out over the horizon and feel excited about new possibilities, and specifically our expansion to the St. Catharines and Oakville areas! Starting this month, we are proud to offer residential and commercial customers in St. Catharines and Oakville the same award-winning service we have become known for in Hamilton. This week's post offers you an overview of all the great services we provide. Right now, the temperatures are reminding us all of why we get so excited when spring finally arrives. Alternating fairly evenly between cold and rainy and cold and dry, no household or business can afford to be without an efficient, effective heating system. Shipton's provides a full range of heating sales, installation, and service, including routine inspections and maintenance and emergency repairs. Furnaces: We sell, install, and service gas, propane, and oil furnaces. Furnace Filters: We sell affordable, high-quality filters through our partner, Clean Air Solutions Hamilton. Heating Boilers: We sell and install Weil-McLain and Navien heating boilers and service all types of heating boilers. Heat Pumps: We sell and install Coleman and Bryant heat pumps and service all types of heat pumps. Gas Fireplaces: We sell and install Continental gas fireplaces and service all types of gas fireplaces, gas inserts, and gas stoves. Radiant Heaters: We sell and install Superior Radiant Products radiant heaters (gas-fired, high-intensity infrared) and service all types of radiant heaters. When the temperatures begin to warm up, our collective thoughts turn from heating to cooling. If you have ever spent a day (or even an hour) without a working A/C unit during an Ontario summer, you already know how important it is to start preparing early! Happily, Shipton's offers an equally comprehensive range of air conditioning and cooling sales, installation, and service. Air conditioning – duct system. We sell and install Coleman, Goodman, and Bryant duct system air conditioners and service all brands of duct system air conditioners. Air conditioning – ductless. We sell and install Fujitsu and Bryant ductless air conditioners and service all brands of ductless air conditioners. Please visit us online to learn more about our full range of heating services and our full range of cooling services. 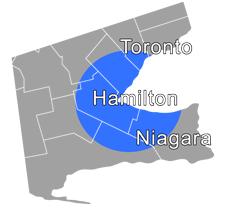 In addition to our A+ Better Business Bureau (BBB) rating and consistent 5-star customer reviews for heating and cooling services, we also proudly offer you the finest in air quality services through our partner, Clean Air Solutions Hamilton. Clean Air Solutions is a wholly owned division of Shipton's that focuses on providing top-notch air quality solutions to keep you healthy all year long. Through Clean Air Solutions, we sell, install, and service a full line of indoor air quality (IAQ) products to clean, purify, and freshen your indoor air at home and at work. Please visit us online to learn more about our full range of air quality services. When you contact us for your heating, cooling, and/or air quality needs, you will receive our 5-star customer service from start to finish. Our technicians are licensed, bonded, highly trained, prompt, courteous, and knowledgeable. Our 5 Guarantees will ensure you are totally satisfied with your experience, and we will treat your home or business as if it is our own. Most importantly, if you need us, we will be there—no exceptions—thanks to our popular 24/7 emergency repair service. To learn more, ask questions, or schedule a consultation, you can reach us at 905-549-4616 (Hamilton/St. Catharines), 905-388-5616 (Oakville), or online.